51. הֶעָנִי מְזַכֶּה אֶת בְּנֵי הָאָדָם בְּכַמָּה טוֹבוֹת, בְּכַמָּה גְנָזִים עֶלְיוֹנִים, וְלֹא כְּמִי שֶׁמְּזַכֶּה אֶת הָרְשָׁעִים. מַה בֵּין זֶה לָזֶה? אֶלָּא מִי שֶׁמִּשְׁתַּדֵּל אַחַר הֶעָנִי, הוּא מַשְׁלִים חַיִּים לְנַפְשׁוֹ וְגוֹרֵם לוֹ לְהִתְקַיֵּם, וְזוֹכֶה בִּגְלָלוֹ לְכַמָּה טוֹבוֹת לְאוֹתוֹ הָעוֹלָם. וּמִי שֶׁמִּשְׁתַּדֵּל אַחַר הָרָשָׁע, הוּא מַשְׁלִים יוֹתֵר. עוֹשֶׂה לַצַּד הָאַחֵר שֶׁל אֱלֹהִים אֲחֵרִים שֶׁיִּתְכּוֹפֵף וְלֹא יִשְׁלֹט, וּמַעֲבִיר אוֹתוֹ מִשִּׁלְטוֹנוֹ. עוֹשֶׂה שֶׁמִּתְעַלֶּה הַקָּדוֹשׁ בָּרוּךְ הוּא עַל כִּסֵּא כְבוֹדוֹ. עוֹשֶׂה לְאוֹתוֹ הָרָשָׁע נֶפֶשׁ אַחֶרֶת. אַשְׁרֵי חֶלְקוֹ. 52. גָּוֶן אַחֵר שֶׁנִּרְאֶה וְלֹא נִרְאֶה, בְּשָׁעָה שֶׁמַּגִּיעִים יִשְׂרָאֵל לְסֵדֶר הַקְּדֻשָּׁה, אָז הַגָּוֶן הַגָּנוּז הַזֶּה, וְיוֹצֵא, מִשּׁוּם שֶׁהִיא הַקְּדֻשָּׁה שֶׁמְּקַדְּשִׁים יִשְׂרָאֵל יוֹתֵר עַל מַלְאָכִים הָעֶלְיוֹנִים, שֶׁהֵם חֲבֵרִים עִמָּם. וְהַגָּוֶן הַזֶּה מֵאִיר וְנִרְאֶה בְּשָׁעָה שֶׁיִּשְׂרָאֵל מְקַדְּשִׁים הַקְּדֻשָּׁה הַזּוֹ, (שֶׁהֲרֵי מְסַיְּמִים יִשְׂרָאֵל עַד שֶׁלֹּא יַשְׁגִּיחוּ וְכוּ’) עַד שֶׁמְּסַיְּמִים יִשְׂרָאֵל, כְּדֵי שֶׁלֹּא יַשְׁגִּיחוּ הַמַּלְאָכִים הָעֶלְיוֹנִים וְיַעֲנִישׁוּ אוֹתָם לְמַעְלָה, וְלֹא יְקַטְרְגוּ עֲלֵיהֶם. A poor person gives opportunity to people with better means to earn a lot of merits and benefit from the supernal treasures. Giving Tzedakah is the aspect of supporting Life and the giver benefits from added Life force to himself with all that is attached to it like health, long life, protection and sustenance. The Zohar tells us that those who make efforts to bring wickeds and lost souls into the light make greater impacts. When they move a person from the ‘bad’ to the ‘good’ side, they weaken the negative side in the world, increase the power of the Light and raise the power of the good side. Tzedakah has great benefits as we explained above and it also helps in elevating prayers. Giving Tzedakah has immediate benefits in this world and also in the world to come.. Transformed people enjoy a soul elevation. Those who transformed them have a higher Light added to their ‘Tzelem’, ‘Image’. It is pure spiritual action and benefits us in this world and in the world to come. It’s not easy to find wicked or lost souls to bring into the Light but we should make efforts to share what we learn without coercion. Only when a person choose to transform himself then the merits go to the one who initiated the transformation and other who supported on the way. Tzedakah is easy to give but to really benefit from the giving we should be wise about it. I heard many people telling me that they give a lot but nothing changed in their life. In most cases they don’t give enough or they don’t give to the right channels. I’m not encouraging people to give and expect immediate results but it’s good to study this and be wise about giving. It is best to give with pure heart and ask God to guide you in giving to the right channels. The study below will teach you and protect you from giving Tzedakah to unworthy people, organizations and causes. The Talmud (Bava Kama 16) quoting Jeremiah 18:23 and tells us that not all giving of Tzedakah are rewarded. This statement reveals that not all of those who want your Tzedakah and all kind of charitable giving are pure and worthy. If we don’t have the merit then we are directed to a wrong channel and waste our money without earning proper rewards. There are many ‘fake’ poor people or fake organizations that ask for your money. You give a little to poor people that you don’t know. The reason is that you don’t want to waste your money on the wrong channel and also because you don’t to act with kindness without passing judgment. Some organizations are good and some use most for the money received to support lavish life of the higher level and a large staff of ‘collectors’ and different helpers. These organizations have different good projects and if you have doubts about the management then it would be wise and safe action to support specific projects. Some religious groups and organizations have bank accounts with millions and do very little to help others. They build great buildings for themselves to show pride in their name. 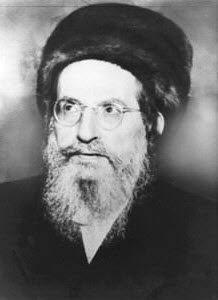 Rabbi Chaim Vital, the foremost student of the Holy Ari and the publisher of the Ari’s writings writes the following in his introduction to the writings of the Ari. In essence rabbi Chaim Vital talks about those who use the study of Torah as a tool to build name for themselves like the generation of the Tower of Babel. They build synagogues with decorated Torah and schools but they use it for impure reasons. He quotes the sages of the Talmud that said that these kind of people would have been better if there weren’t born.